João Costa Vargas’s presentation, “The Denial of Anti-Blackness: Multiracial Redemption and Black Suffering” will take place in 162 Willard Building on Wednesday, April 17, 2019. Description: This talk by Dr. Vargas will invite the audience to consider the concept of anti-blackness and the challenges of Black autonomous analysis and political organizing. 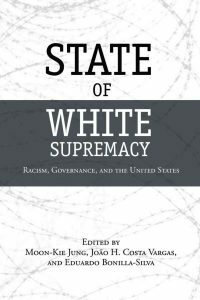 He will bring to light and scrutinize how progressive research and progressive multiracial efforts that address Black suffering are often unable to engage foundational, structural, multigenerational, and ubiquitous forms of anti-blackness. 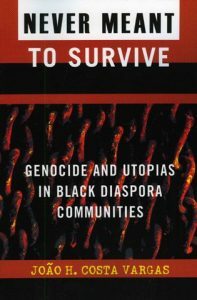 In multiracial progressive mobilizations of the Black diaspora, Brazil and the U.S more specifically, Black suffering is acknowledged while anti-blackness is negated. João Costa Vargas is a professor of Anthropology at the University of California – Riverside. 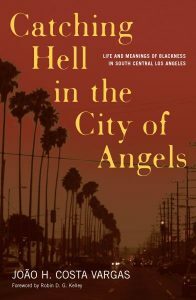 His publications include Catching Hell in the City of Angels (2006), Never Meant to Survive (2008), State of White Supremacy, co-edited by Moon-Kie Jung, and Eduardo Bonilla-Silva (2011), and the soon to be released The Denial of Antiblackness: Multiracial Redemption and Black Suffering (2018).